At ACME1 Windows & Doors we have been supplying and installing aluminium windows and doors for over 20 years. 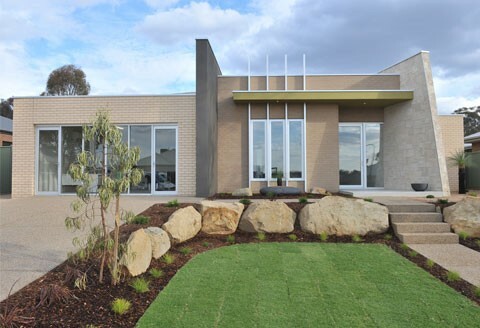 With many years’ experience and expertise in the aluminium window and door manufacturing industry, Stuart and Sharyn Healy have gained a reputation for providing quality products and a friendly, efficient service in Bendigo and it’s surrounds. We offer builders, homeowners and architects an extensive range of products unrivalled in the window industry. Supplying and installing a large range of aluminium windows and doors as well as glass we are able to assist in many aspects of your project. At ACME 1, we pride ourselves on our high quality products and exceptional customer service which allows you the perfect finish for your project. All of our products are custom made to order, ensuring you always have the perfect solution for your project. At ACME1, we understand the importance of energy and thermal efficiency. It is for this reason that we offer energy efficient solutions to your aluminium window and doors. By providing thermally broken frames, double glazing plus other glass options we can assist you in meeting and exceeding the energy requirements for your project.